The certificate confirming Ridgeway as a finalist in the 2016 HBA Awards. 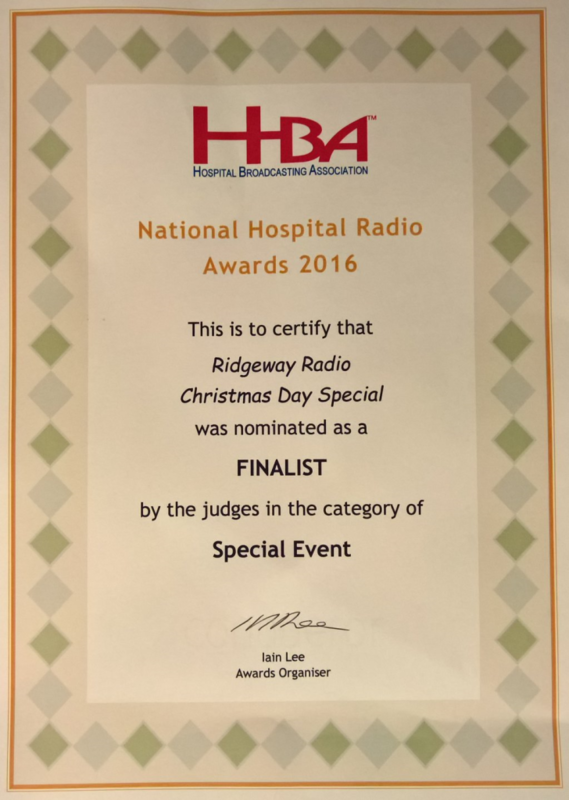 We are pleased to announce that Ridgeway Radio has been nominated as a finalist in the Special Event category of the National Hospital Radio Awards for 2016. The entry features highlights of our Christmas Day Special programme presented by Peter and Heather Foster. There are more details of the 2016 HBA Awards winners here.